Design a photo cushion to add style and a personal touch to any room in your home or workplace. Choose from a variety of themes and sizes and we'll start making a very special cushion for you. Treat your sofa to some new cushions and create a whole new look to your room. Plus, there's nothing quite like cuddling up with someone on the couch. Photo cushions are an easy way to update your home and add a splash of style and colour. With its soft filling and satin smooth covering, it's perfect to use your personalised cushion for your bed or sofa for added comfort. Design your very own personal cushion in minutes. Get creative and add photos of friends and family but also all the special places you have visited throughout the year. 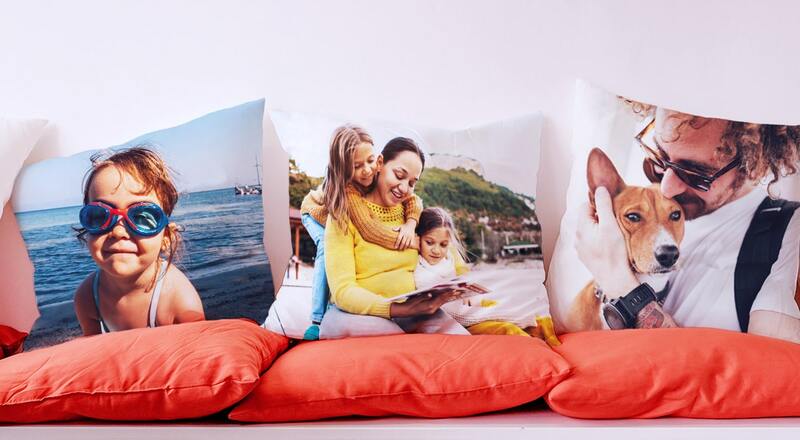 You can choose to create a single sided photo cushion featuring one special photo, or double sided cushion with many photos if you can't decide! 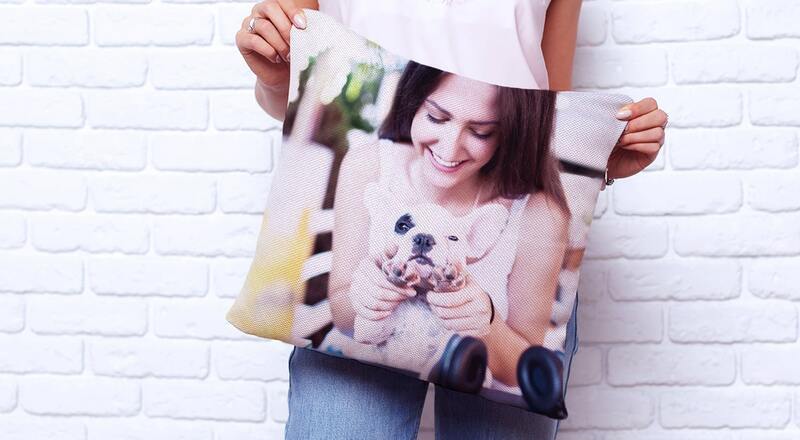 We all love our pets and want to keep them close, create a personalised cushion with a photo of your favourite furry friends as a reminder and comfy companion. Quick and easy to create, we’ll create your special cushion for you and your pet to enjoy snuggling up to.